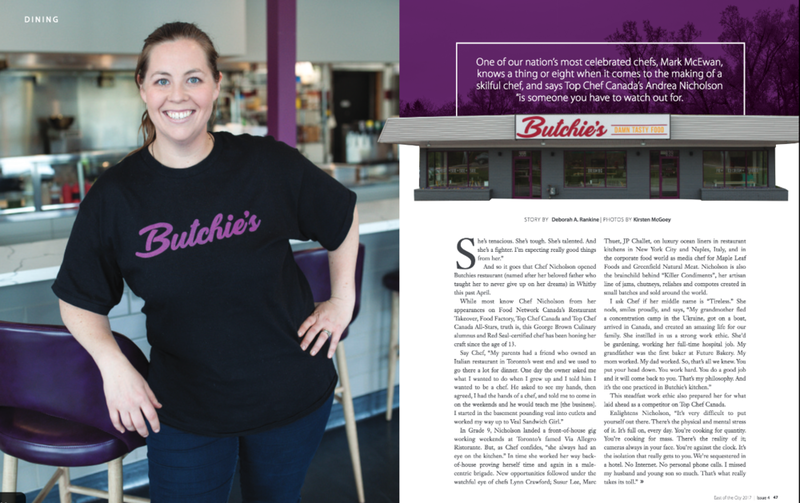 Andrea Nicholson is a proud Torontonian, entrepreneur, executive chef and owner of Butchie’s Restaurant, owner of Killer Condiments and badass mama to Elliott. Andrea has been working in the hospitality industry since the early age of thirteen. As a Red Seal certified chef, she received her culinary training at George Brown College in Toronto. Her professional experiences include positions in food media, respected Toronto restaurants, world renowned luxury liner Regent Seven Seas, culinary and corporate institutes, as well as traveling the globe working with internationally acclaimed chefs. Andrea also trained in New York City under Roberto Caporuscio and holds a diploma from the A.P.N. of Naples, Italy, distinguishing her as a certified Pizzaiuoli. Andrea’s passion for food is evident in her masterful creations, which celebrate the purity of local and seasonal ingredients. 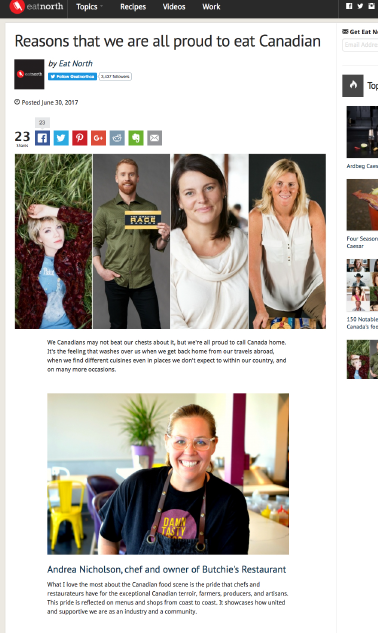 Supporting sustainability, Canadian farmers, purveyors and Ocean Wise is the central tenet of her cuisine. 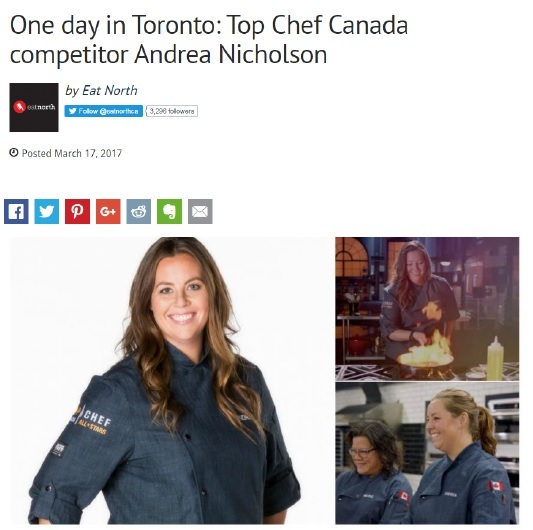 Andrea is a regular face on Food Network Canada having appeared as a host on Restaurant Takeover, as a contestant on the first season of Top Chef Canada, as a judge on the third season of Top Chef Canada and most recently as a Top Chef Canada All-Star. 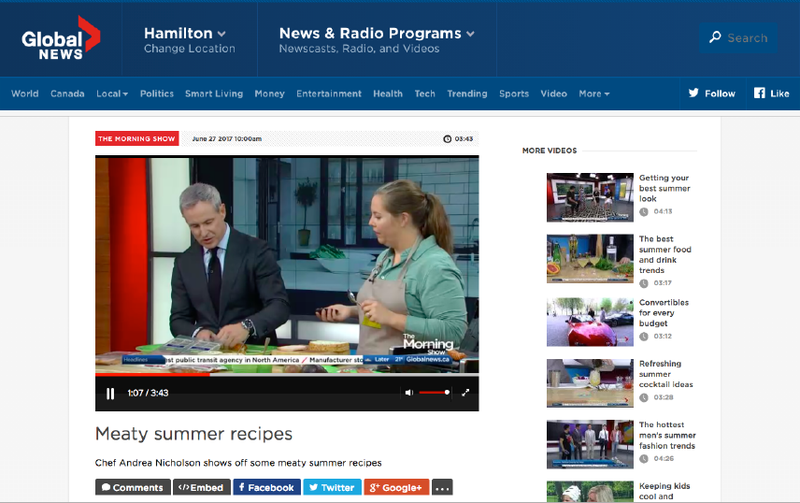 Andrea was also a featured chef and expert on the Marilyn Denis Show.